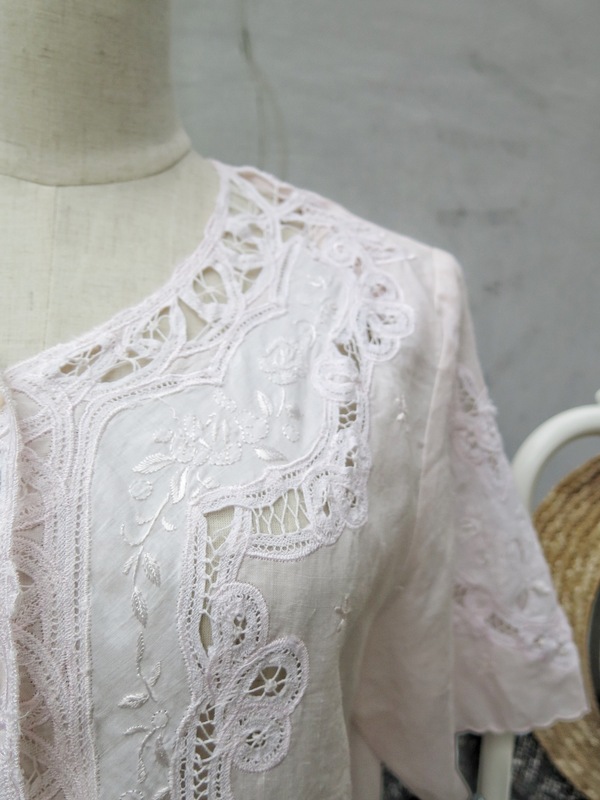 ﻿Ethnic vintage pieces are some of our favourites. 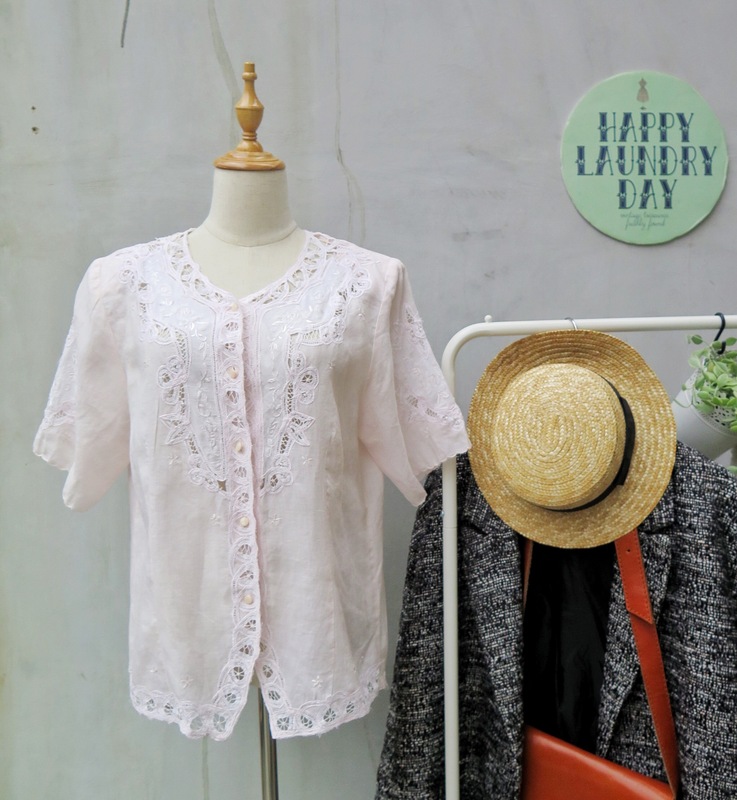 They mix and match well with modern garments and these embroidered tops are top of the list for us. They go well with jeans or pencil skirts and do well under a jacket and with structured shorter pieces or longer fluid ones. They even go well over a strappy dress. We like the ease of it all. How easily it could be dressed up or down and could give a look what it needs to push it over the edge. Sassy but cool. We like. We have 2 in the shop today. A lightly pink one we love for its jacket-like qualities. 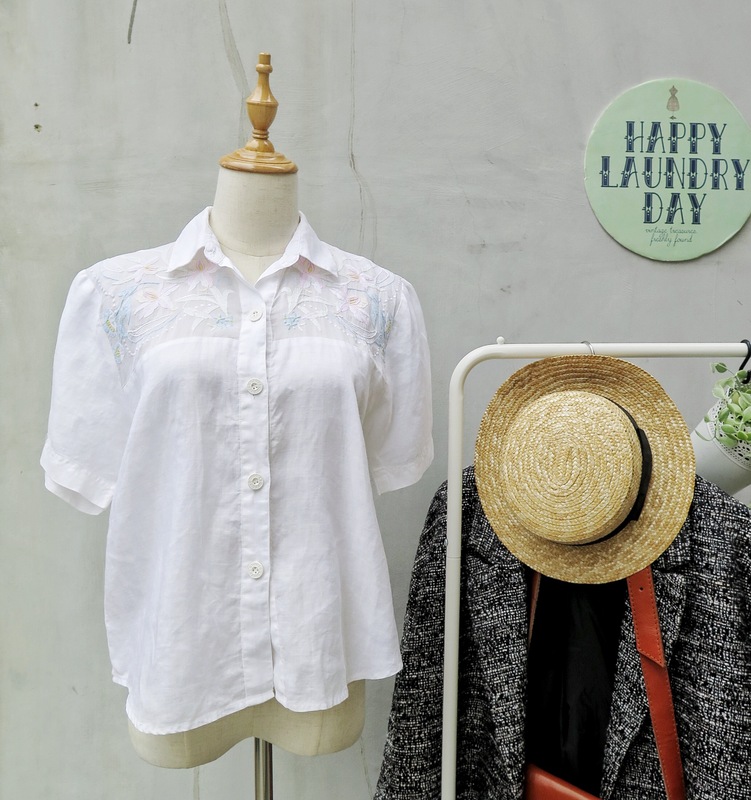 It could be worn as a blouse, or as a jacket. Almost/possibly Peranakan. 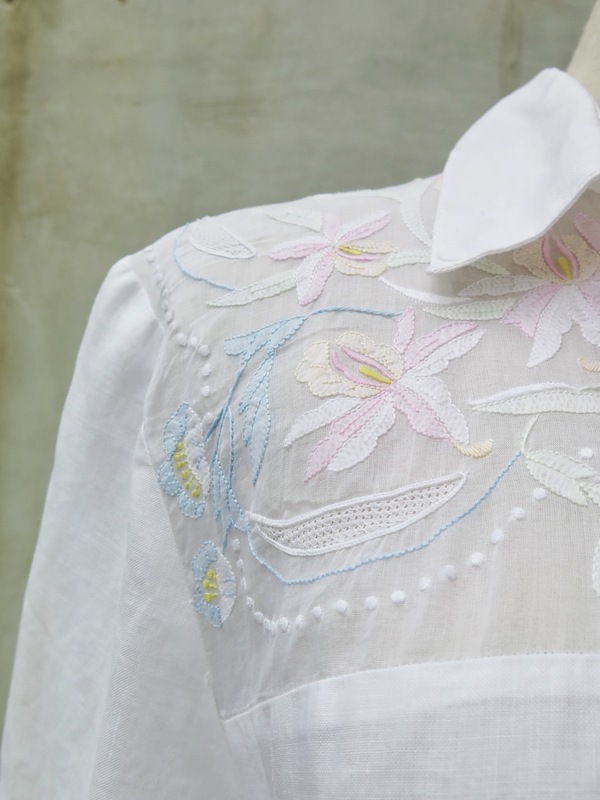 And a sheer shirt/blouse that has the coolest hand embroidery in the lightest shades of pink, yellow, mint green and white. Texture, light and shadows. Oh and did we say, both were handpicked locally from a really cool lady’s personal estate. Both best fit a M/L – XL.